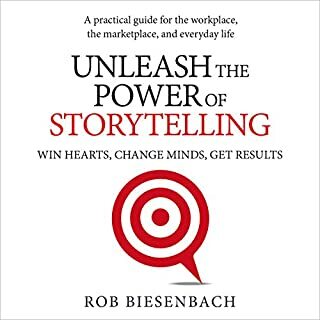 Unleash the Power of Storytelling offers a practical roadmap to crafting and delivering more powerful, persuasive stories that you can use to get more of what you want out of your career and your life. 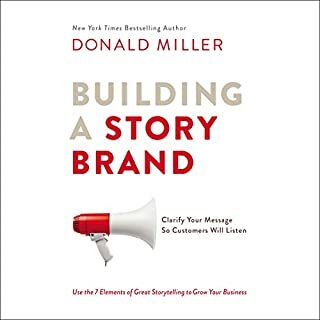 Study after study confirms that stories have unparalleled power to break down walls, build trust, and influence people to act. More than facts and data alone, stories are fundamental to capturing and expressing our ideas, wishes, and beliefs and getting the results we want. 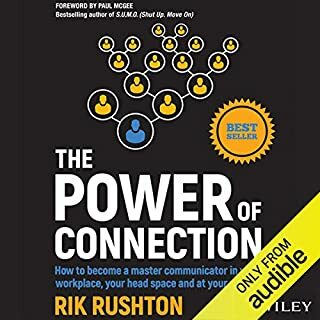 The Power of Connection provides you with practical, real-world solutions for improving your professional performance, your personal relationships, and your outlook - one conversation at a time. 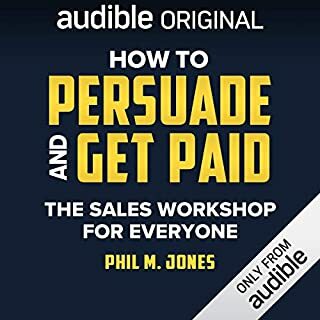 Best-selling author and multiple award-winner Phil M. Jones is highly regarded as one of the world's leading sales trainers. He has trained more than two million people across five continents and 56 countries and coached some of the biggest global brands in the lost art of spoken communication. In 2013, he won the British Excellence in Sales and Marketing Award for Sales Trainer of the Year, the youngest-ever recipient of that honor. 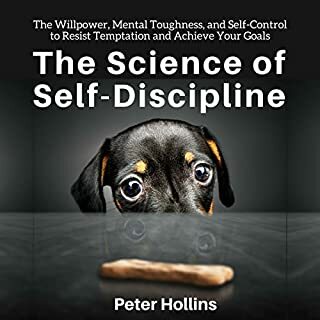 He has also written a series of best-selling books and developed a number of Online training courses that have enrolled tens of thousands of members around the world. Phil divides his time between London and New York. Couldn't get past first 10 minutes. Kept getting flashbacks to super annoying telemarketers and sales people stopping me in the shopping centre trying to sell me stuff I don't need and who won't take no for an answer. 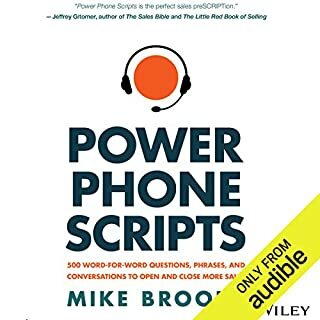 The book does provide guidance to trapping people into conversations with well crafted questions but surely we should aim for more than that in society? Please find a better way to engage with potential customers. 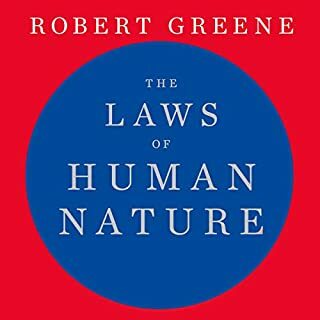 It is a simple book that's easy to follow and great tips to implement immediately. Would you consider the audio edition of Exactly What to Say to be better than the print version? Depends on your preference. 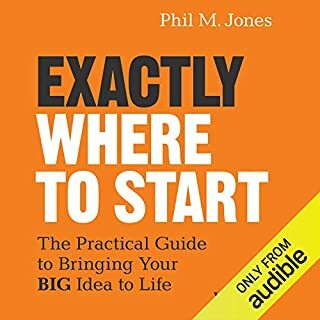 What I will say, is that the content and the way Phil delivers it in the audio version, made this listen incredibly valuable and impactful, as well as fun to listen to. 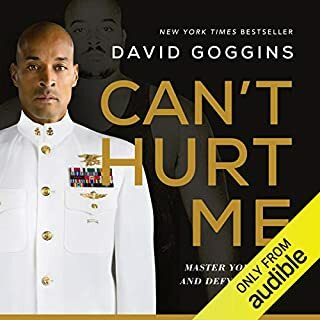 Listening to this audio book, I felt as though I was sitting next to a friend who was sharing valuable information with me, rather than listening to an author who was talking at me. This resulted in me enjoying the experience more, as well as the content being far more impactful. The direct applicability of the content. What insight do you think you’ll apply from Exactly What to Say? This book delivers a ton of a-ha moments, throughout its entirety. All of which are directly applicable in multiple areas of your life. 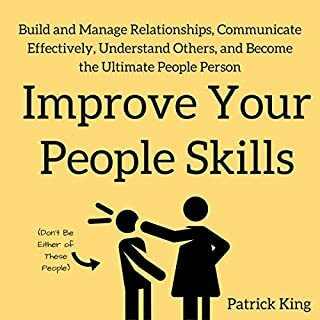 If you deal with people in your personal and professional life, then you need to read / listen to this book. 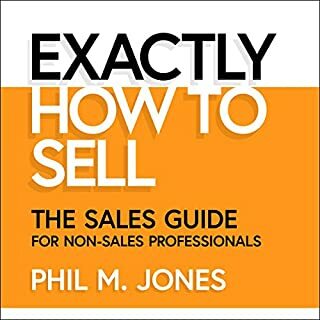 This short book has many good techniques, but some of them are so commonly overused by sales people that they probably have the opposite effect of what they are intended for. Book was read well by narrator which is why I finished it. He actually tries using his tactics on you throughout the book. Just a bumch of counter arguments to keep conversation alive. Summary: Don't take no for an answer,. 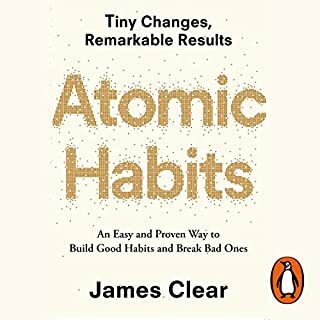 This tightly compacted instruction manual is the best book I've heard since reading Cialdini's works. Best money I've ever spent on a persuasion book. No matter if you are in sales, leadership, or simply trying to enhance your bonds with others - applying these 'magic words' will help you reach your goals! 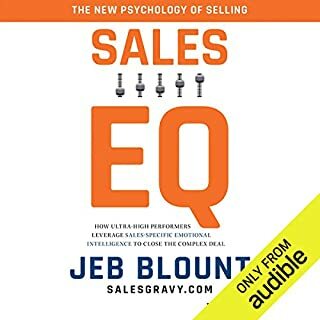 This short book is an excellent summary of all of the worst sales "techniques" that have been tried on me in my long career. These are the types of things you hear from pimply faced teenagers who have "gotten a job in sales" - and quite a few telemarketers. Excellent! So simple and immediately actionable. Engaging narrator. Great, to-the-point information! The quick examples of how to use his specific word combos were just enough to get you thinking how you can tailor them for your own purposes, without feeling bogged down by long stories that may or may not apply to you. Just perfect! Will be revisiting this I'm sure. How to sell swindle and manipulate. Disappointing. 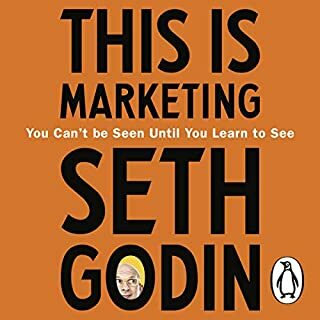 These are tactics for sales people who are like vultures looking for the precise buzz word to convince some unsuspecting bloke to buy his product. Slimy approach. I thought I was buying material that would enhance my sensitivity to someone else, not exploit them. Seemed to be aimed at slimy sales people whos aim is to manipulate people, hint of preying on the vulnerable "when someone impressionable..." and hints of consumers being just a mindless mass "consumers love to be lead...". Seemed to be sales tactics for people that don't have their customers best interests at the forefront if their business/product/service. Other than that I think if these key phrases are used by the right people in the right situation, often, good things will happen. Just one salesman’s (telemarketer or door-to-door salesman) personal advice on words to use to close the deal. Nothing to do with influencing and how to pitch ideas in general. The recommendations are not based on any validated research supported with evidence and representative of general population, helped with explanation as to why some approaches would or would not worked. Just things like: “say most people choose this product” or “ask would you be open minded about...”. In reality you could ask the same in several ways what matters more is probably your demeanour and language/vocabulary choice specific to the occasion/person rather than the exact wording. 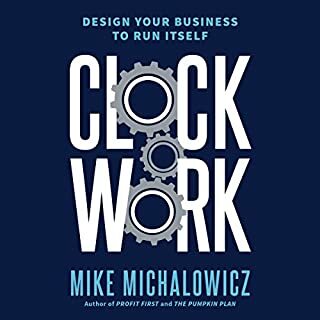 And this author seems to think that he figured out the exact magic formula for specific words and phrases that are going to work “for most people most of the time” rather than whatever else you are doing now, “which works for some people some of the time”... very quantifiable and proved by evidence!! And he only provides anecdotal evidence at best. Waste of time and money!! 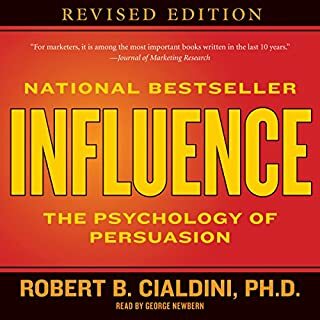 I was really hoping to find this book useful but by about a third of the way through I realised that the techniques were more about manipulation than influence. 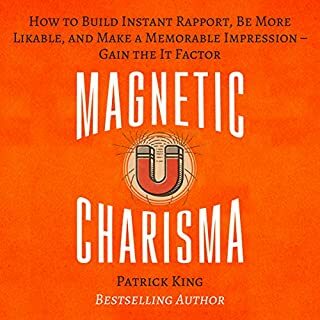 It's an ideal book for the dodgy car dealer, timeshare salesman or telesales where getting a quick win is more important than building a relationship with a client. 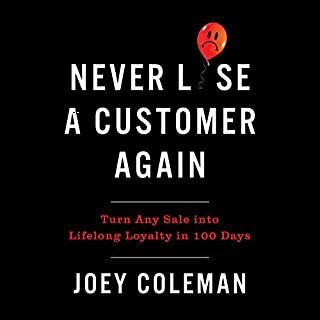 If all you're looking for is the next sale then this is just for you, however a lot of the techniques will build resentment after the fact with your clients. 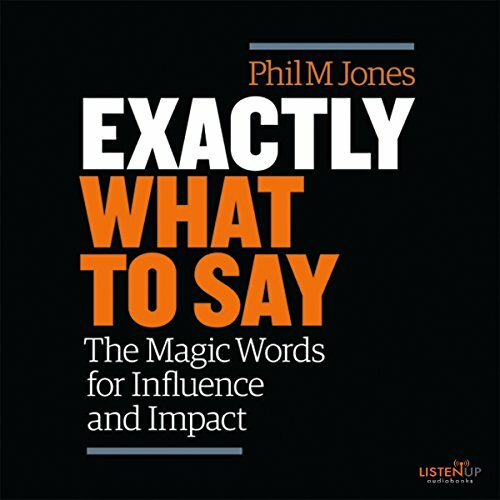 The cover promises words for "influence" and "impact". Make no mistake, this is about coercion. While there are references to 'helping customers face their challenges' etc, the mask soon slips and we get phrases like "controlling the conversation", references to applying techniques with "impressionable people" and, when assessing the ethics of one approach, the declaration that "customers are no angels". The thrust of this advice is to "control" the conversation and lead people to the "right" answer - which of course means customers agreeing to buy from you. I found this useful only to be in a position to listen out for this tosh whenever I hear it being used on me. I listed this book with a mix feelings. In one hand the information given have value. In the other hand the reader is so poor that you almost want to stop listening. I have to stop several times because I couldn't listen everything at once because of it. Can’t wait to start using some magic words at work! Just brilliant. Wish me luck! Short, to the point, and with useful, helpful content you can actually take away and use. Love it. short, succinct and straight to the point. Just a shame it's delivered in a cheap Essex con man style.